In 1938, Charles E. Schmidt Sr. of Chicago, Illinois established a mail order tractor parts business. 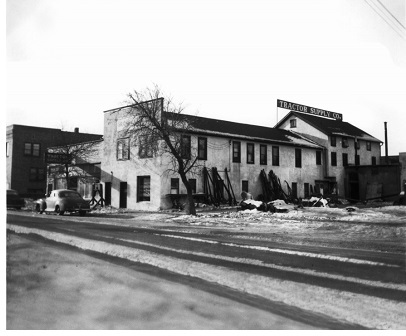 By 1939, it had grown into a successful retail store in Minot, North Dakota. Today, we are the largest operator of rural lifestyle retail stores in the United States, and are committed to being the most dependable supplier of basic maintenance products to home, land, pet and animal owners. We operate more than 1,700 stores in 49 states. Whether you're caring for a backyard, or a "back 40", we have the products and services to help you get the job done. Both homeowners and farmers can find what they need at Tractor Supply Company, including feed, fencing, mowers, tools, work clothing and much, much more. Visit a Tractor Supply store near you and let us show you why TSC also means Totally Satisfied Customers!